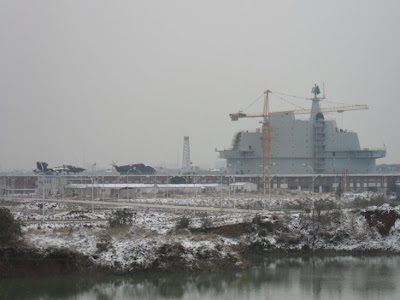 China Defense Blog: Put up a mast for Christmas. Put up a mast for Christmas. Makes you wonder what type of Christmas ornaments they will put up this year, doesn't it? A white Christmas in Wuhan, let it snow, let it snow. *Thanks Snowhole for the update. Update on the J-11B Project. Talks of a PLAN Overseas Naval Base. Did the PLA find its Diego Rivera? 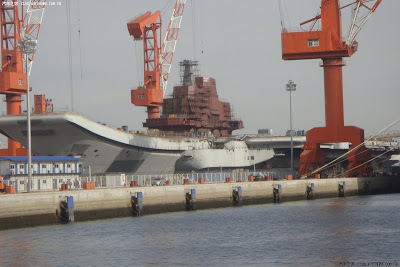 Han class SSN (Type 091) Photos. "Commercialization" of the FC-1 Fighter. 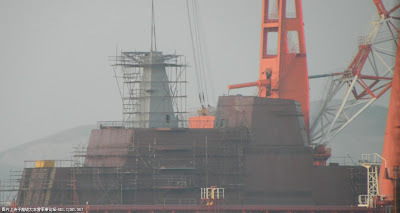 DDG112 undergoes a major refit in Shanghai. Defense Minister Liang meets Pakistan Chief. EC175/Z-15 performes its maiden flight. Update on the Mi-171 helicopter joint venture. 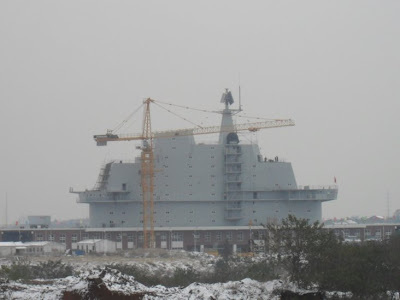 A New PLA Buzzword – "Basic Campaign Corps"
China to launch Yaogan 8 in coming days. China to loan $40 Million to the Bolivian Army. Can China Deliver in Pakistan?